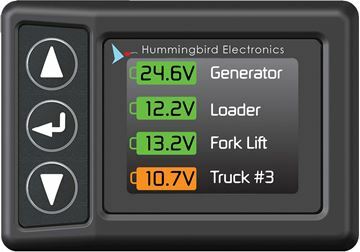 The RF Battery Monitor transmitter uses a long range RF technology meaning that communication is reliable in all configuration of car and trailer. Ultra-low power voltage transmitters are able to be left permanently connected to batteries and do not need to be switched off when not in use. Both 12V and 24V batteries can be monitored. Installation is as simple as attaching the red and black terminals on the transmitter to the battery that needs to be monitored. Once connected, pairing with the remote monitor is all that is needed.